La Sera introduce themselves as a husband and wife duo in “I Need An Angel”. The second single from the Ryan Adams produced, rockabilly infused album Music For Listening To Music To continues to show the LA duo’s transition into a more country sound. This time front-woman Katy Goodman invites band member and husband, Todd Wisenbaker to the mic as the two do-si-do through the vocals to the accompaniment of twangy guitar licks. Look for the latest album from La Sera March 4th through Polyvinyl. 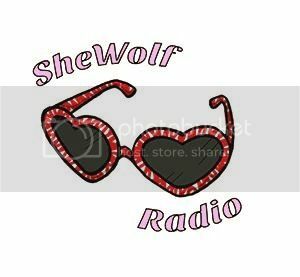 Posted on February 17, 2016 February 17, 2016 by shewolfradioTagged country, i need an angel, katy goodman, la sera, los angeles, New Music, polyvinyl, rockabilly, ryan adams, shewolf radio, todd wisenbaker.